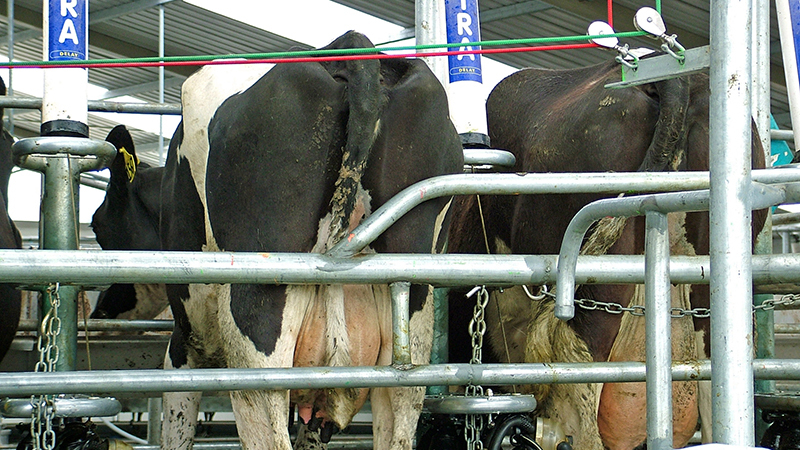 Getting the dairy exit design right increases work efficiency and reduces injuries. Milking efficiency is improved through reducing the amount of time milkers spend encouraging cows out of the dairy and well designed exits will reduce cow injuries. A bar mounted in the top of the rump rail can act as a good first exit signal. 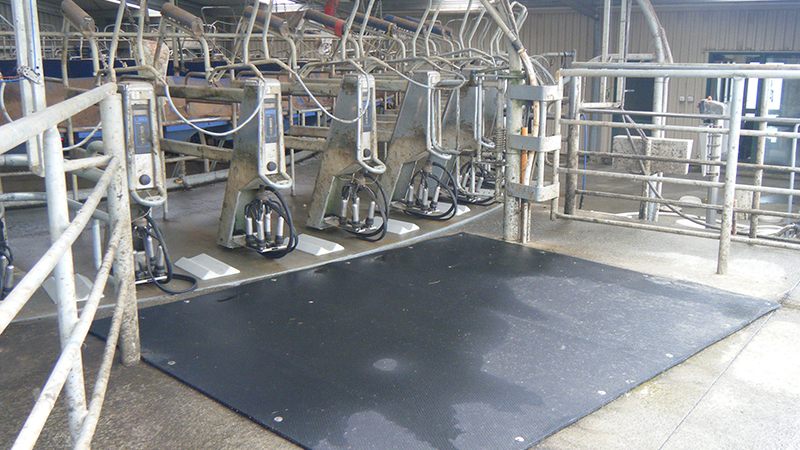 Cows not exiting the platform once finished milking negatively affect efficiency. A bar mounted in the top of the rump rail (in photo) can act as a good first signal to the cow that it is time to exit, followed by dripping/spraying water, compressed air or a hanging visual barrier. 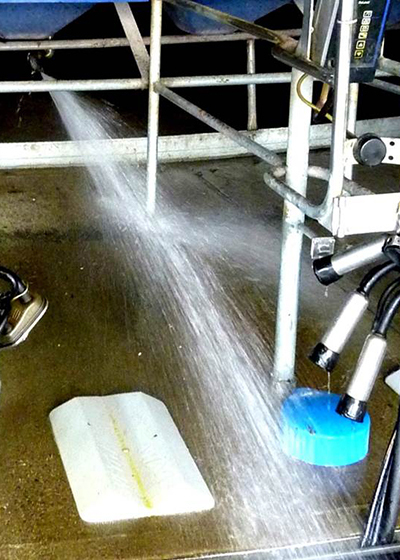 Cows are creatures of habit so if using water or compressed air, control it from the cups-on position so that it is not going continuously. Water spray used as an exit signal. Ideally the exit is at least 2½ bails wide. For large rotaries (greater than 60 bails) at least 3 bails should be considered to allow cows a similar amount of time to exit as a smaller rotary. The exit area should be at least 3m deep to allow plenty of room for cows to turn around. Preferably cover this turning area in rubber mat for cow comfort. The exit path should be as free from restrictions as possible. Exit race should be at least 1.2m metres wide, and be as short as possible before joining the main race. Good example of a rotary exit. Well designed and accurate drafting systems are becoming more important as herd sizes expand.